I am a city dweller, through and through. If you haven’t already guessed it, I am currently living in the beautiful city of Austin, Texas! I love the hustle and bustle of the city streets, the huge buildings, and the endless stream of interesting and diverse people on all walks of life. And among them, I’ve finally found my own niche: fitness! I am always on the go, like everyone else, I have my hobby…i.e., fitness, and the way I sustain my way of life, by having a job. And of course, I am still in school, I have a gorgeous little pup, Bruiser, and I love to blog as well so my day is packed from the moment that I wake up early in the morning up until my head hits my pillow at night. How Do I Make The Time To Stay Fit? It is extremely easy to come home after a long day at work and saying okay, that’s it. I survived another day. That is not how I want to live my life. I want to stay happy and in order to do that, I have to get all of the stress of the day out of my system by exercising. Do not get me wrong, sometimes I don’t make it to the gym. And that is A-Okay! 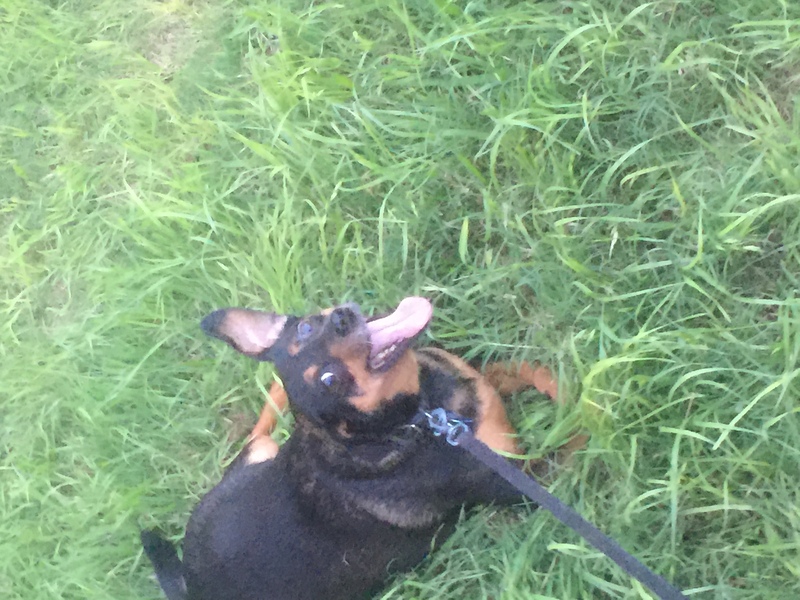 On those days, I just take my dog on a longer walk than usual, which is really good for the both of us. I just have to remember that being fit is not a size or a number on the scale and there is definitely NOT one huge step that suddenly makes me fit, healthy, and happy. Getting there is a lot of itty bitty steps and a ton of muck-ups in between, but eventually you get there and you probably won’t even notice it because at that point, it is a lifestyle and not a diet or punishment. How Do I Stay Away From Bad Food? I do not believe that any food is “bad”. And to be quite honest, I love to indulge in a big fat piece of cake or caramel candies more often than not. That being said, abs—which I am still striving for—is made in the kitchen and not the gym. Fitness is 80% of your diet after all. And in a classic way to save money, I usually eat at home…when there is time. When I don’t, I usually find myself at Panera Bread. Before I began my fitness journey, I thought that eating out was the time to just engorge myself with food and deal with the terrible feeling of over-indulgence later on. That frame of mind is completely gone now that I’ve found Panera. I really enjoy this café, in particular, is because they have a new brand that is focusing on healthy eating for a great price! 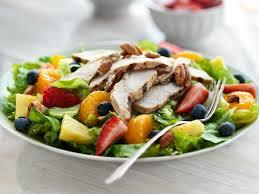 I love to go, usually after a mild exercise, and order a Strawberry Poppyseed Chicken Salad along with a green smoothie. Not only is it filling, it is an ultra refreshing treat and it keeps your inside feel great while making your outside look spectacular! I am defiantly a creature of habit, so I always get the same thing even though Panera Bread offers a ton of yummy salads, wraps, and sandwiches. They really do keep their food up to the standard that they portray, “Food as it should be”. They are even leaving behind artificial flavors, sweeteners, colors and preservatives and plan on being completely clean by 2016! On top of all of that, I can order online when I am really in a rush and have it ready to be picked up when I get there! Getting fit is never easy but with a little planning and a lot of commitment, a little can go a very long way. And stopping by at Panera Bread has never hurt either! Here is my challenge to all of you Millennials out there. Make time for a good workout and stop by your local Panera Bread and Instagram, Facebook, or Tweet it with #PaneraGoodness. Treat yourself and your body today and every day. This is a sponsored post on behalf of Women’s Forum. All opinions are 100% my own.